Is China about to make the Japanese and American economies great again? Some might be tempted to bestow a parallel standing to Abe, whose party is enjoying uncontested reign as far as the eye can see. 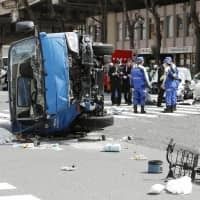 Chaos among opposition forces means there’s virtually no palace intrigue in Tokyo. Sadly, that also means reduced urgency domestically for the Liberal Democratic Party to accelerate structural reforms. Xi’s accession, though, could have the opposite effect not just on Abenomics, but Trumponomics in Washington. The stunning amount of power that the Communist Party just placed in Xi’s hands is one thing. An equally impactful wrinkle is Xi’s global ambitions — big aspirations that are just getting started. If that’s not a wakeup call for the world’s other two economic superpowers, what is? It could catalyze a virtuous cycle that pumps new growth and dynamism into the global economy. Take Japan, which is on a roll at the moment. Healthy global growth and a somewhat weaker yen is producing the best run — six straight quarters of growth — Japan has seen in 11 years. The Nikkei just had its longest winning streak on record. The risks, though, are two-fold. One, that Abe assumes this is all a product of Abenomics and rests on his laurels. Two, that Abe thinks his Oct. 22 mandate is more about constitutional reform than economic retooling. Granted, Abe may be tempted to believe his own press. 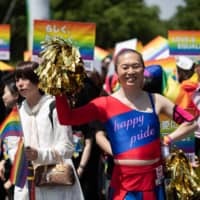 As Ian Bremmer tweeted on Oct. 29: “A year ago who would’ve imagined the strongest leader of an advanced industrial democracy would be: Not the US President not the German Chancellor not the UK Prime Minister, but Japan PM Shinzo Abe.” And, sure, Japan’s opposition isn’t a big threat to the LDP. But Abe’s popularity hinges on getting serious about economic upgrades he’s promised for five years now. So far, Abe’s China response prioritizes defense spending over increased competitiveness. 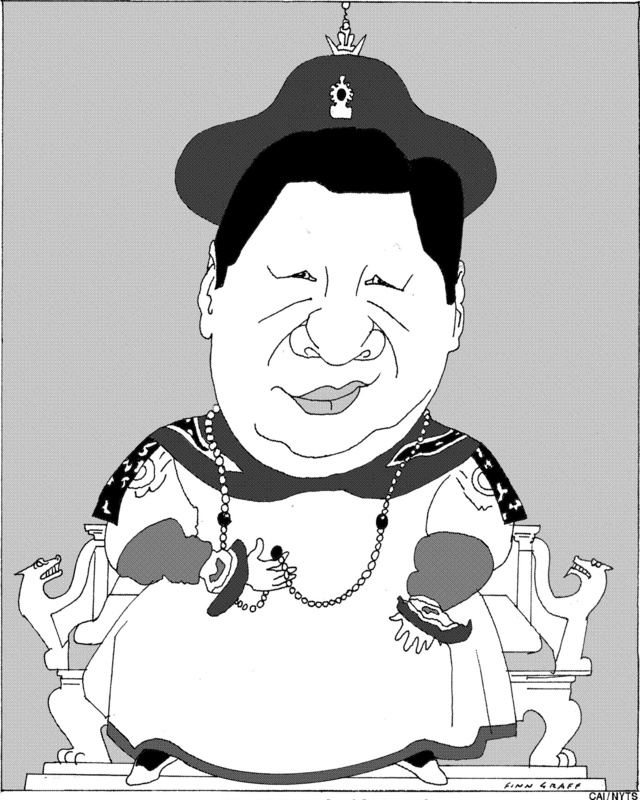 Question is, will Xi’s omnipotence, and The Economist crowning him the world’s most powerful man, propel Tokyo? It’s time for some serious multitasking. Why not create an “Abenomics czar” job? A Cabinet level position would ensure that a team of committed technocrats is indeed raising Japan’s game. Finance Minister Taro Aso isn’t, with all due respect, a micro-policy guru. Neither do Abe economic team members Hiroshige Seko and Toshimitsu Motegi have the gravitas to ensure forward motion. 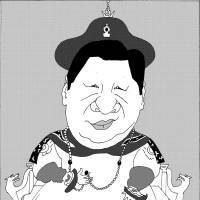 The supersizing of Xi’s power comes as Beijing steps up efforts to go global. The Asian Infrastructure Investment Bank, “One Belt, One Road” juggernaut and other initiatives are displacing Japan in its backyard, Africa and Latin America. It’s also challenging Japan’s influence in the U.S. and Europe, too. The best response is to make Abenomics a smashing success. Nothing, after all, impresses Xi’s party more than strength. And nothing would catch Beijing’s attention in the long run more than a sustained Japanese revival. Amending the Constitution’s war-renouncing Article 9 would certainly make an impression. But in this globalization age, being taken seriously as a military power requires a thriving economy. Or, as Harvard University’s Joseph Nye puts it, “geo-economics” has long since replaced geopolitics. By rekindling Japan Inc.’s innovative spirit, internationalizing labor markets, reducing bureaucracy and crafting an energy policy around batteries and other renewables, Abe would increase prosperity and market share and convince King Xi not to trifle with Asia’s other superpower. Trump should take the hint, too. While he makes old-world coal mines great again and cuts taxes for the rich, China is investing at least $360 billion on solar, wind and other industries by 2020. While Trump’s Treasury Secretary Steven Mnuchin says he’s “not worried at all” about artificial intelligence or automation, Goldman Sachs is trumpeting China as a major global contender for future dominance. Xi doesn’t tweet, boast about his IQ or make geopolitical threats he’s not prepared to back up. What he does do is beat economic growth expectations year after year, steadily increase China’s market share and play the long game to confound the skeptics. Trumponomics may be benefitting from heady global growth today, but there’s little afoot in Washington to keep pace with China’s ever-expanding potential. China’s de facto monarch won’t be in the room next week when Trump and Abe discuss avenues for cooperation. But with most roads leading to Beijing these days, the Japanese and U.S. leaders would be wise to devise ways to fight strength with economic strength. Talk about a win-win for global growth.